US-based satellite TV station Eagle TV is to transmit Nigerian shows to its viewers in more than 70 countries around the world. The news was revealed by Eagle TV co-chairman Peter Obaseki at a press briefing in Benin City, with the programming set to include both live and pre-recorded content. Obaseki, who is also general overseer of the Divine Grace of Glory Ministry, said the move was aimed at increasing the popularity of Nigerian content across Europe, the US and sub-Saharan Africa. “Our programme content goes beyond religious activities,” Obaseki said. “Aside from the broadcast of social programmes, we are beaming to our viewers other activities that are impactful to society. 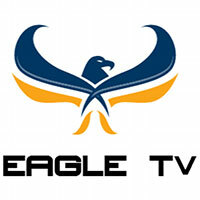 Eagle TV’s programming can currently be seen on MYTV, a free-to-air satellite station, and other platforms, while the company also plans to beam its content on MultiChoice-owned pay TV platforms GOTV and DSTV.